Things that make me happy? This book. Things that make me happy: the colour yellow, swimming pools, the smell of baking bread, dewy mornings, pumpkin roasted until it’s caramel-burnt, fresh sheets, Mint Slices and an hour spent in a book shop. I could go on but the point is that sometimes it’s the simplest things that are the best. And there’s no better example of this than Amy Schwartz’s thoroughly delightful catalogue, 100 Things That Make Me Happy. Happy-making things are grouped loosely as rhyming couplets – red socks, building blocks, licking the spoon, the man in the moon. On another page, it’s chocolate chips, camping trips, goldfish, birthday wish and red bow, tic-tac-toe, hula-hoops, double scoops. 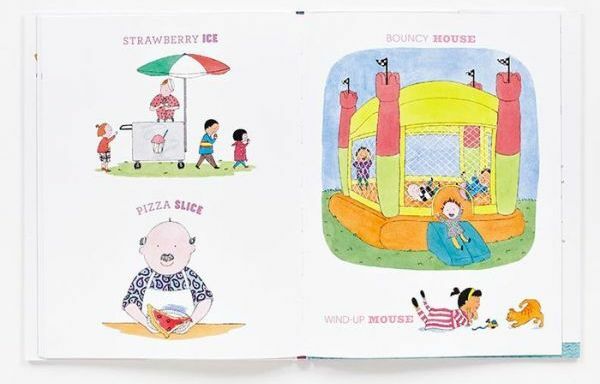 Schwarz makes this random collection of things seem effortless, however, adults who have the pleasure of reading this book aloud will appreciate the clever balance between things that appeal to all the senses and that also resonate with children. Of course, if you’re a list-maker (that’s me), this book will likely become your favourite – how can you resist such a happy list?! 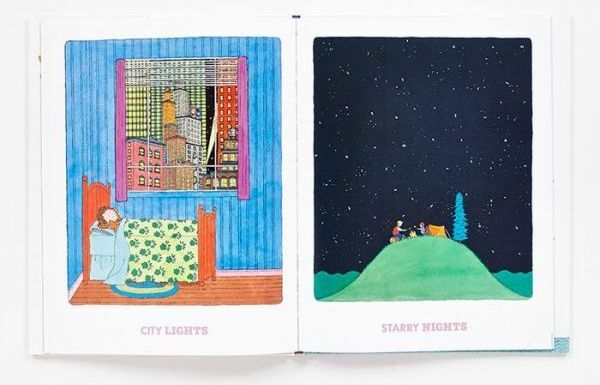 The tempo changes as the illustrations switch between multiple ‘happy things’ on one page to full-page pictures – and every single drawing is exquisite. Brightly coloured, beautifully detailed and presented in an expressive way that children can’t help but respond to, the book is a visual treat. As a neat bonus, all one hundred things in the book are numbered and reproduced as a poster on the inside of the book’s dust jacket. 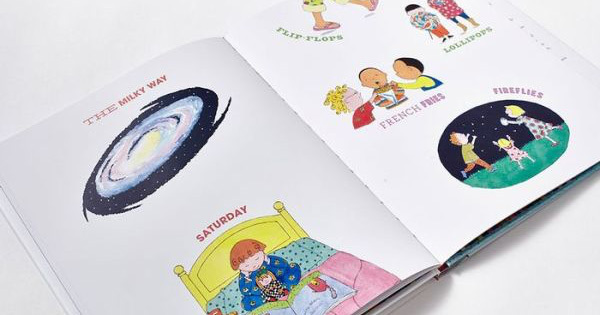 This book is a perfect bedtime story – read it aloud and then leave kids to think of their own one hundred happy things as they drift off to sleep. 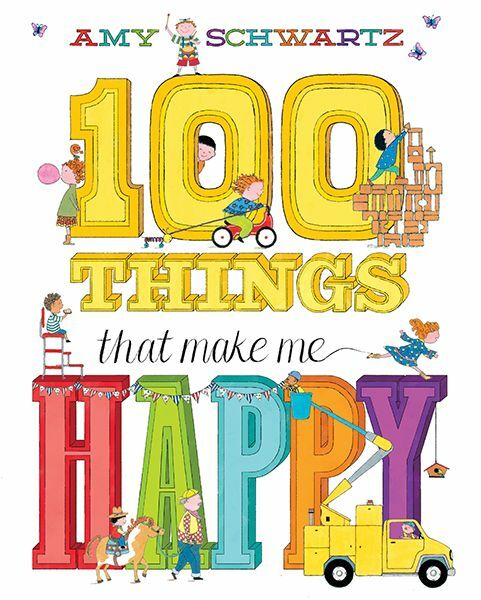 100 Things That Make Me Happy is suitable for children aged two years and over. Find it at Book Depository, with free delivery to Australia.